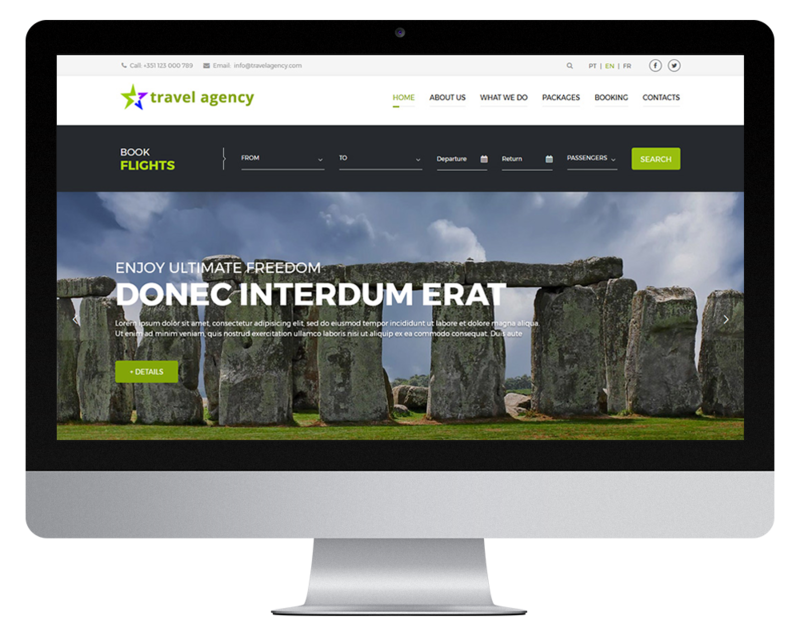 The TTS WeBook Website module allows every travel agency all over the world – no matter the size – to have a professional looking website with their own branding. By having your own website you will guarantee to have a powerful presence on the internet while providing a better customer service to your clients. 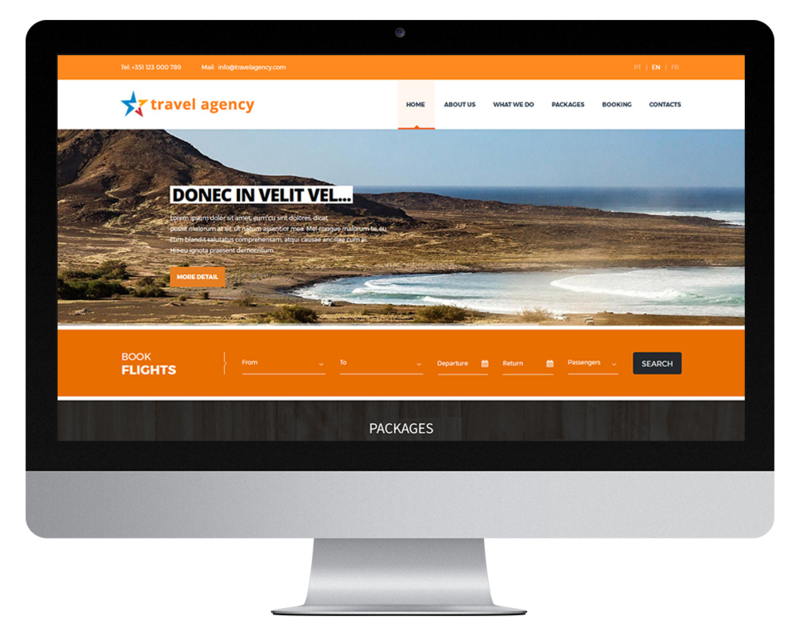 If you wish to take your professional website to another level you can also integrate TTS WeBook Booking Engine in your website allowing your clients to book their flights through your own Internet Booking Engine (IBE). Find out more. 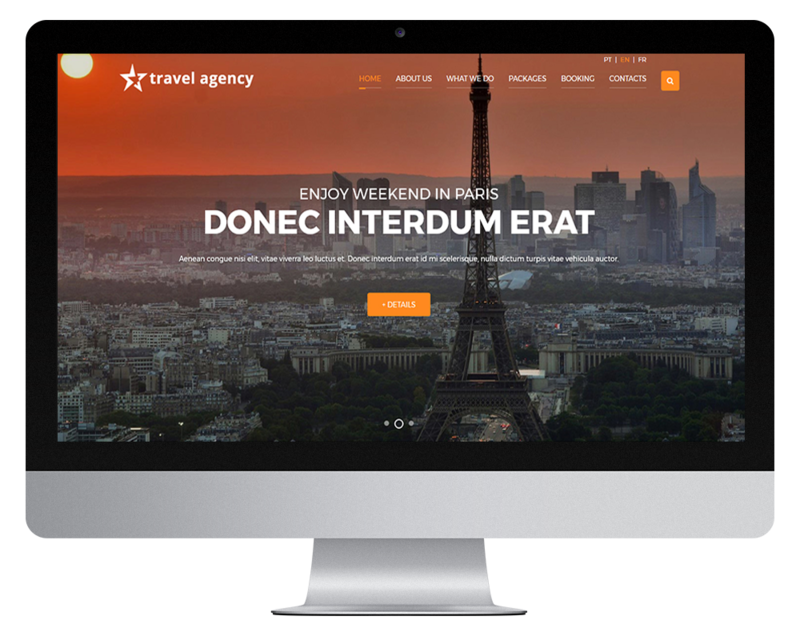 Choose your website template from the 5 templates available below. Please fill in the form below to ask us for a quote. Check out the pricing options. 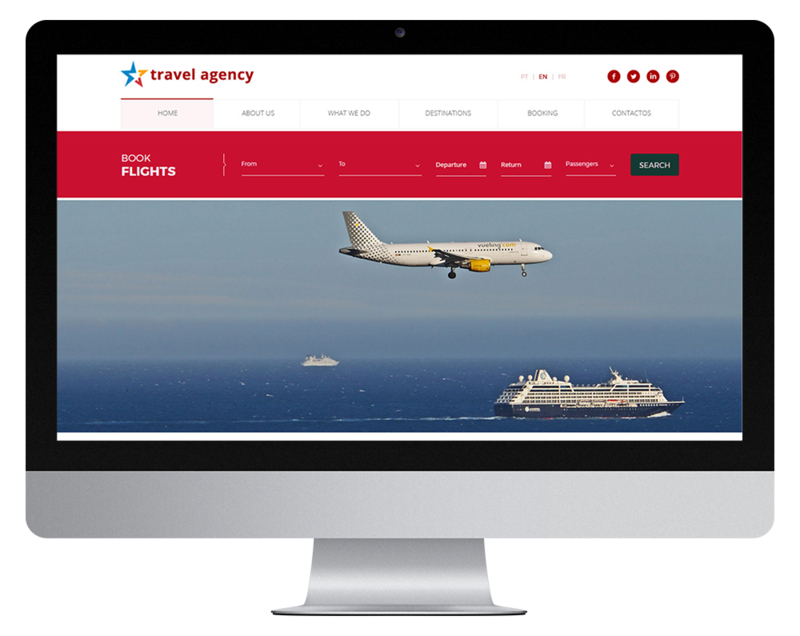 By using TTS WeBook Suite you will be able to offer your clients a 24/7 air booking service that can be integrated in your own professional travel agency website manageable by a Content Management System. 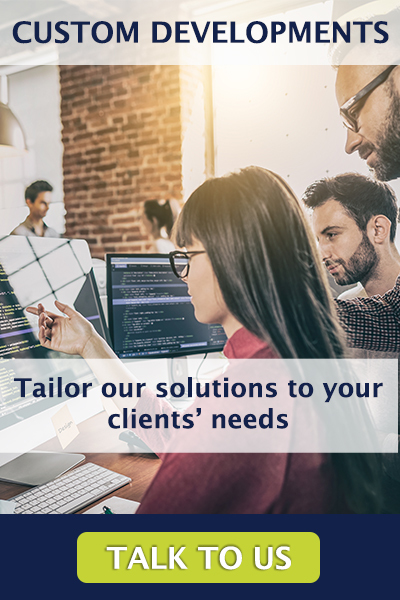 Allow your clients the ability to book their own flights when and where it’s easier for them and offer a better customer experience. 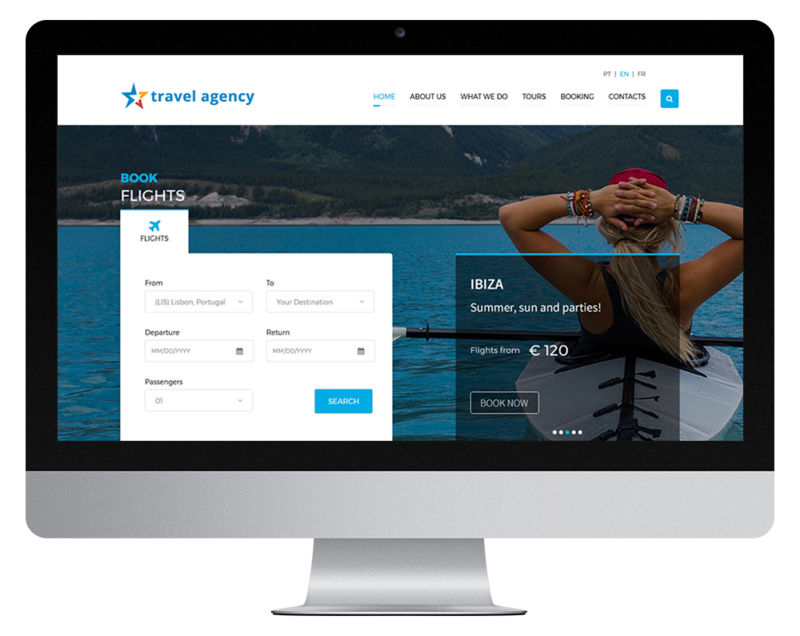 By offering booking autonomy to those clients who prefer to handle their own flight search and booking, by speeding up the booking process, without never losing the proximity and security of the personal relation that characterizes small agencies service. By adding flight booking to your online services and increasing your business opportunities. By bringing you another sales channel with minimum investment.